"Why not give me a call and find out what I can do for you? 416-788-7390"
Excellent location, close to the Falls, downtown and business area. 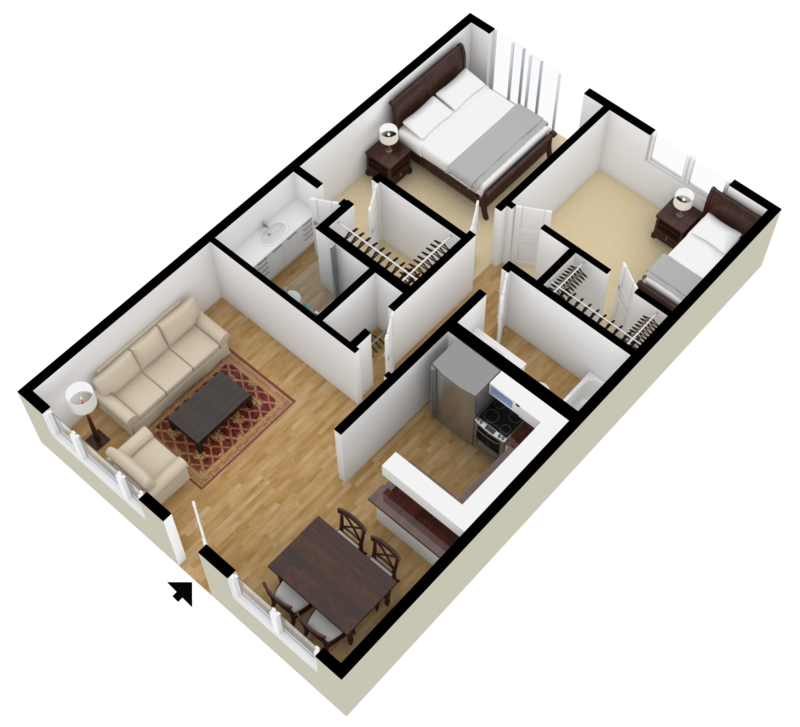 Owner is a developer who will also develop the property if preferred. He has all the documentation ready for constructing a Hotel, Apartment Complex, Condominium or Hotel/Condominium combination up to 200 units. he has the go-ahead to fast-track most zoning requirements. Returns on this property can be highly profitable! Niagara Falls, Ontario is located approximately 70 minutes south-west of Toronto, and approximately 30 minutes north of Buffalo, NY, USA. Niagara Falls, Ontario is considered the “Honeymoon Capital of the World” and a choice destination for travellers looking to experience one of the Seven Wonders of the World, Niagara Falls. The proximity of attractions, US border, and Niagara Wine Country allow Niagara Falls to be a year round destination for travellers. 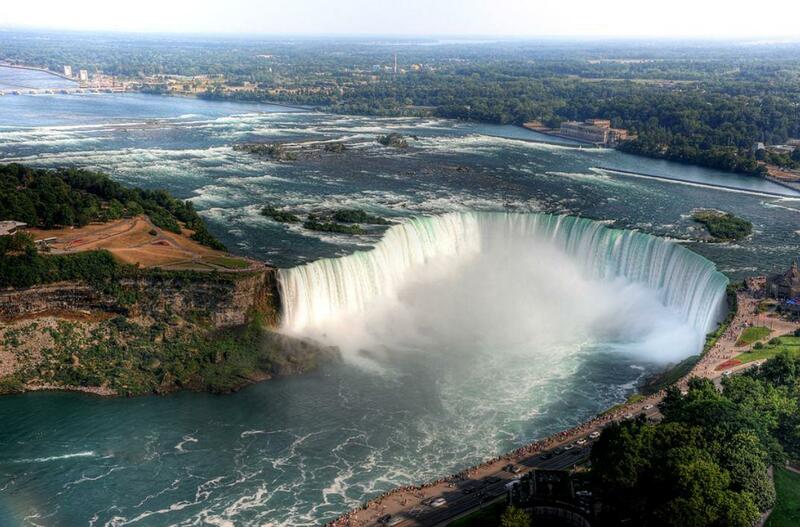 The City of Niagara Falls is a small vibrant city located in the heart of the Niagara Region. When it comes to quality of life, Niagara Falls has other communities beat. 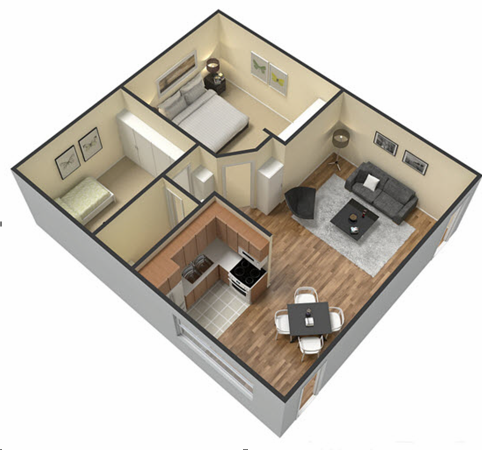 Where else can you enjoy all the amenities of a large urban centre in a comfortable, livable community? Whatever you are looking for you can find it in Niagara Falls – Arts, culture, recreation, commerce and peaceful quiet moments – they’re all here in Niagara Falls. The location of the property is being considered on vacant land between approximately a 10-minute walk from the central tourist attractions on Clifton Hill, close to the downtown and business area. It is on 1 acre about 140' X 329' (irregular). The New Yorker Condo & Boutique Inn is looking to capitalize on an opportunity of a gap in hotel/condo properties in the region, suited to discerning travellers looking to enhance their overall travel experience in the region. 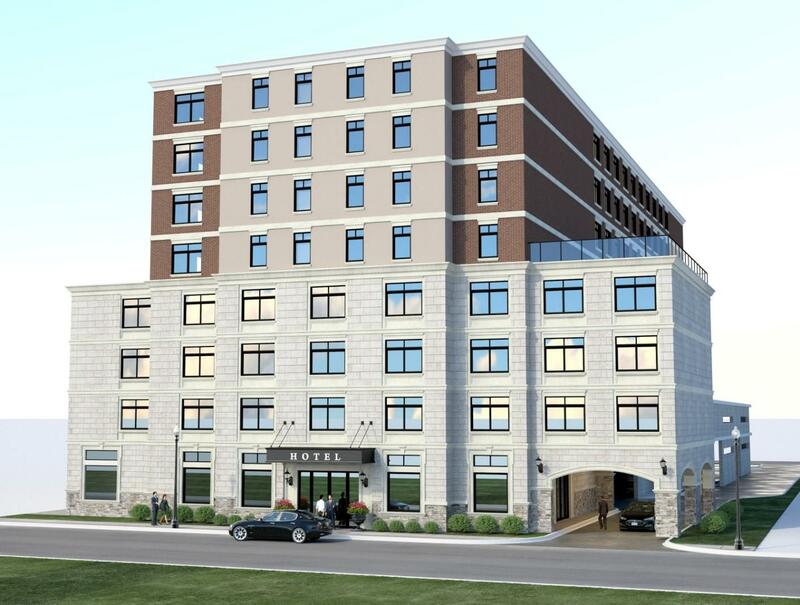 The New Yorker Condo & Boutique Inn can provide the comfort and service that these discerning travelers are looking for, with full operation and occupancy expected to start by the Spring 2020. With the booming U.S. economy, a massive influx of tourists is expected. 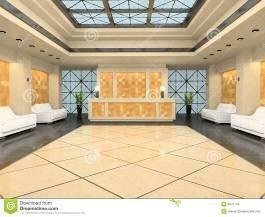 Hotel rooms will be running at full capacity and purchases of condominiums are greatly anticipated. The New Yorker Condo & Boutique Inn will be well equipped for guests, to include concierge services, early/late check-in/check-out (if available), laundry services on site, conference and board meeting rooms, an internet area, in addition to free Wi-Fi. On-site will also include a workout room and a snack bar/tuck shop. Affiliations with local area attractions, such as golf courses and vineyards in the area, will also enhance the guest and homeowner experience in Niagara Falls. 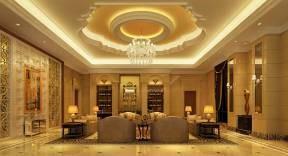 Rooms and décor will be tastefully appointed, based on other world class hotels. 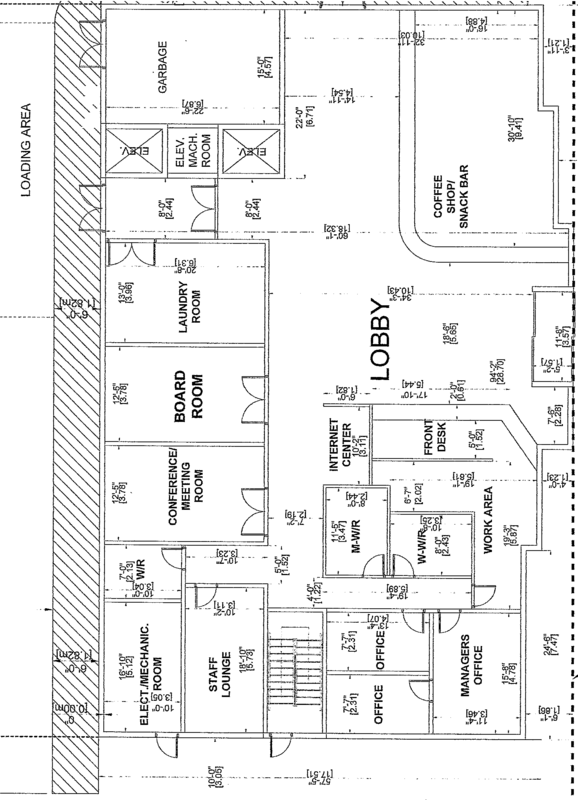 Appendix 1 includes examples of the interior/exterior designs being considered for the façade, lobby, and guest rooms. 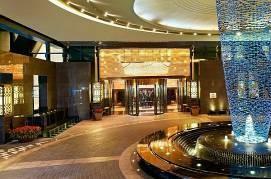 In addition to the hotel, condominiums will be available for sale as part of the project. The benefit of this project is the interaction of hotel guests with tenant owners, and future consideration of pooling the condominiums into the hotel room registry, as an option to the tenant owners. This reduces the overhead costs of the available rooms for the stakeholders, in addition to providing an additional revenue stream to the condo owners. Owners of the condominiums will also be able to enjoy the amenities of a hotel, but as a homeowner, which has been a positive arrangement in other areas such as Toronto and New York. By incorporating this arrangement into the hotel operation, the stakeholder gains additional market value equity, above and beyond the initial hotel value, and increases the hotel market value equity position by up to 30%, based on the initial investment. 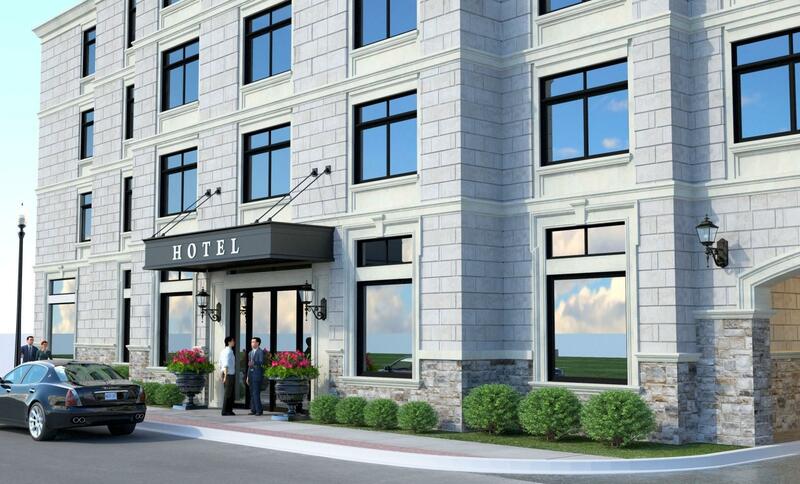 The New Yorker Condo & Boutique Inn will be an 86 suite hotel, with the addition of 68 1+2 bedroom condominiums. Parking will allow for 113 vehicles. 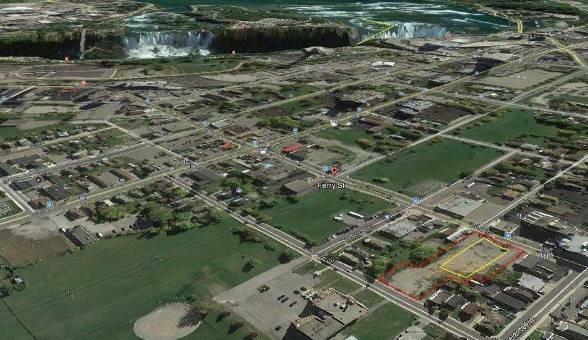 Current preliminary approvals with the City of Niagara Falls allows for an 8-storey building. Total living space is 110,000 sq. ft. Lot is 1 Acre, approximately 140’ X 329’ (irregular). 1) This document is not a prospectus, offering memorandum or disclosure document and does not constitute or form part of any offer or invitation to sell or issue, or any solicitation of any offer to purchase or subscribe for, any securities or an inducement to enter into any investment activity, nor shall any part or all of this brochure form the basis of, or be relied on in connection with, any contract or investment decision in relation to any securities. 2) This document is strictly confidential and may not be copied, published, distributed, transmitted or disclosed to third parties. 3) The provision of this document is not and should not be considered as a recommendation by the Company or any other person that has an investment in the Company is a suitable investment for you, or be seen in any way as the provision of investment advice by any person. Before making an investment decision, you should consider whether such investment is appropriate in light of your particular investment needs, objectives and financial circumstances. 4) The information contained in this document has not been independently verified. The Company does not make any representation or warranty, express or implied, as to the fairness, accuracy, correctness or completeness of the information, opinions and conclusions in this brochure. In particular, the Company does not make any representation or warranty, express or implied, as to the fairness, accuracy, correctness, completeness, likelihood of achievement or reasonableness of any forecasts, prospects or returns (“Forward Looking Information”) contained in this document. Such Forward Looking Information is subject to significant uncertainties and contingencies. Actual future events may vary significantly from the Forward Looking Information and the assumptions on which that Forward Looking Information is based. 5) To the maximum extent permitted by law, the Company and its related bodies corporate and affiliates, and their respective directors, officers, employees or agents, disclaim any liability (including, without limitation, any liability arising out of fault or negligence) for any loss or damage from any use of the information contained in this document or otherwise arising in connection with it. 6) The information contained in this document is intended to be viewed only in jurisdictions where it may be legally viewed and is not intended for use by any person or entity in any jurisdiction where such use would be contrary to local regulations or which would require any registration requirement within such jurisdiction. 7) Any person viewing this document, or any person connected to the Viewer is strictly prohibited from contacting the Vendor and all communication shall be conducted through the Broker CultureLink Realty Inc. and/or the Sales Representative Sydney Sopher. 8) CultureLink Realty Inc. (Brokerage) does not warrant the accuracy of the information given and Purchasers are urged to do their own due diligence. Alberta: Industrial Campus.20 Acres 10% vacancy. 7CAP with vacancy. BUYING, SELLING, LEASING, ACQUISITIONS, PROPERTY MANAGEMENT. LOCAL TO GLOBAL: TORONTO, GTA, ONTARIO, CANADA, U.S.A., WORLD-WIDE.